I saw this presented by Matt Preston on Masterchef and was a little sceptical. It sounded too good to be true, so of course my inquisitive cooking mind had to give it a go. The only ingredient he used was bananas. Healthy, simple and delicious. Egg free, nut free, dairy free and fat free. 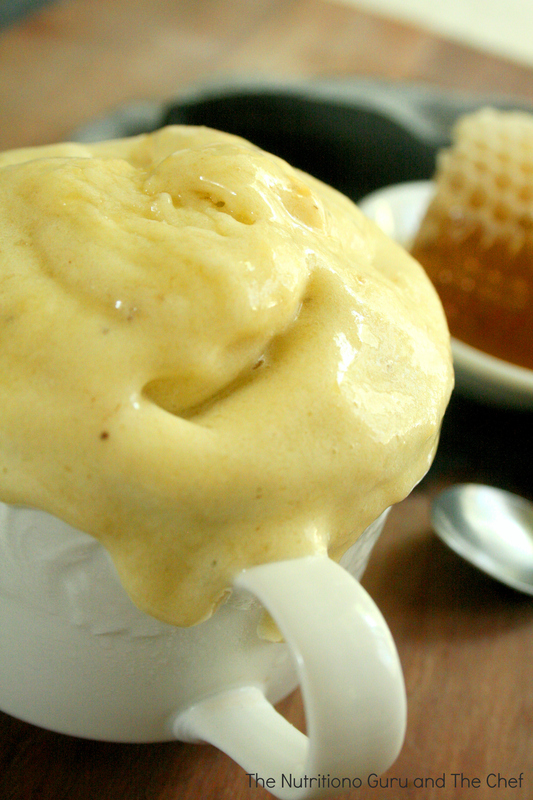 I have added a tiny bit of honey for flavour rather than sweetness, and chai spice powder. It is cold, thick, airy and just like icecream. 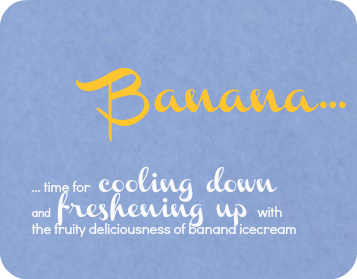 I have also been scooping some of this frozen deliciousness into my smoothie jar, adding milk and hey presto…a delicious bananorama smoothie. Bananas: A great snack providing sustained, long lasting energy. A low GI food perfect before or after exercise. High in Potassium, an electrolyte used to conduct electrical currents through all cells and therefore is crucial. Potassium is needed to build strong healthy bones, and has also shown to reduce blood pressure and therefore prevent cardiovascular disease. Fibre: to maintain a healthy digestive system. Vitamin 6: bananas are a fabulous source of vitamin B6 which is important in the production of serotonin – a neurotransmitter. neurotransmitters are hormones which help carry messages from nerve to nerve. serotonin is very important in the regulation of mood, the learning process and sleep. I always say ‘a banana a day keeps the bad moods away’. Bananas are natures answer to a happy pill. And more: Vitamin C, antioxidants and other vitamin B vitamins such as folate, niacin, riboflavin and pantothenic acid. 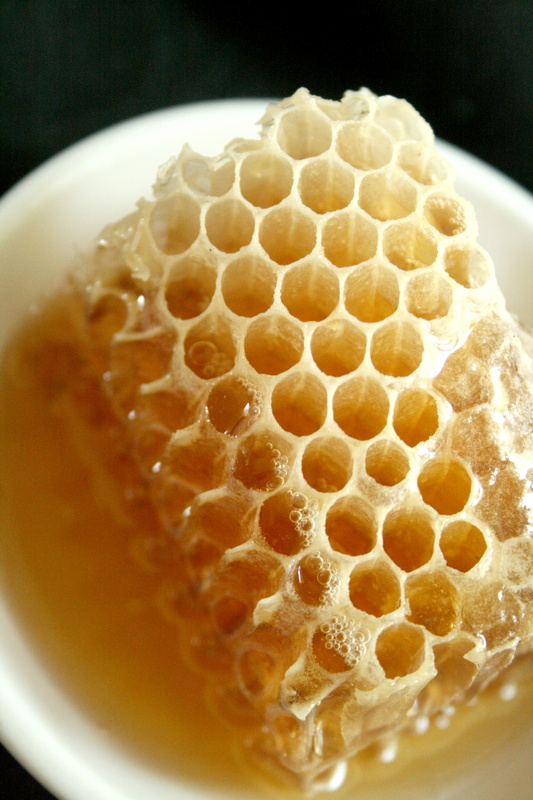 Honey: wonderful antifungal, antibacterial and antimicrobial properties. It also contains small amounts of B vitamins, calcium, copper, iron, magnesium, manganese, phosphorus, potassium, sodium and zinc. So you can see that a frozen dessert such as this is guilt free and super healthy. Enjoy! 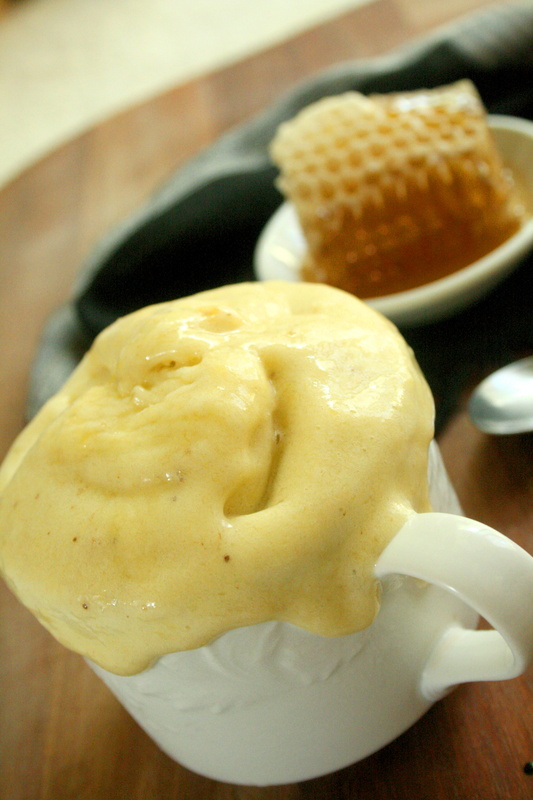 Have a peek at some of our other icecream recipes below. Oh WOw! what a great idea! Thanks for sharing Katie. As an ice cream addict I’m going to have to try this on the weekend!